“Marks of Civilization” is a unique class that USD offers, it the only one of it’s kind in the United States. David Lane, assistant professor in sociology, teaches the course. In the class, he teaches the literature of cultural production when it comes to tattooing. He said teaching a class that’s not offered anywhere else is odd. One of the assignments for the class is that the students have to spend time around tattooers in a tattoo shop. Joshua Fox, a senior psychology major, took “Marks of Civilization” in fall 0f 2017. He said he enjoyed doing his field project for the class. Lane said he senses that there is a shift happening in the world when it comes to the stigma of tattooing. While there (have) been studies of tattooing done in the past, Lane said it’s just resonating more now in our culture. Lane said that tattooing has always existed in every society, but there has been a rise in tattooing in the Western world. Jessica Allen, a first-year law student, took “Marks of Civilization” in the fall of 2017. She said she doesn’t think many people think of tattooing as a subject to be studying. 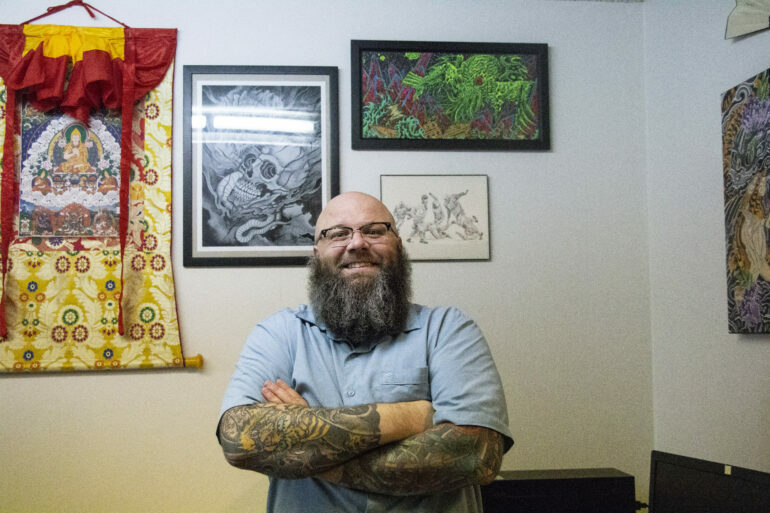 Lane said when it comes to his research for tattooing, he doesn’t do what everyone else does. While most researchers focus on the meanings of tattoos, Lane said he focuses on the tattoo artists themselves. He also has a book that is under contract and he hopes to have out in a year. He said the book is about the time he spent in Baltimore around tattooers trying to understand their way of life. One thing Lane said he wants people to understand about tattooing is simply that he wants to see awesome tattoos.